One of the most utilized components in electronics is the resistor. It is found in every electronics devices where its main purpose is to resist or limit the flow of current. This is one of the major uses of a resistor in electronics design and troubleshooting. But in the calibration field, a resistor has a different purpose. 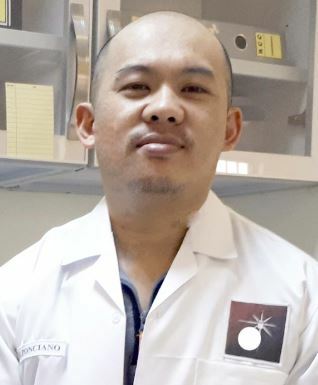 I will present with you the use of a resistor, as a decade resistance box in calibration, as a standard used to verify and even calibrate a measuring instrument. In this article, I will show the 6 important uses of a resistance box in calibration. By being aware that we have this kind of instrument or standard will help us to extend our calibration capability. I also included a simple calibration setup for a resistance box. 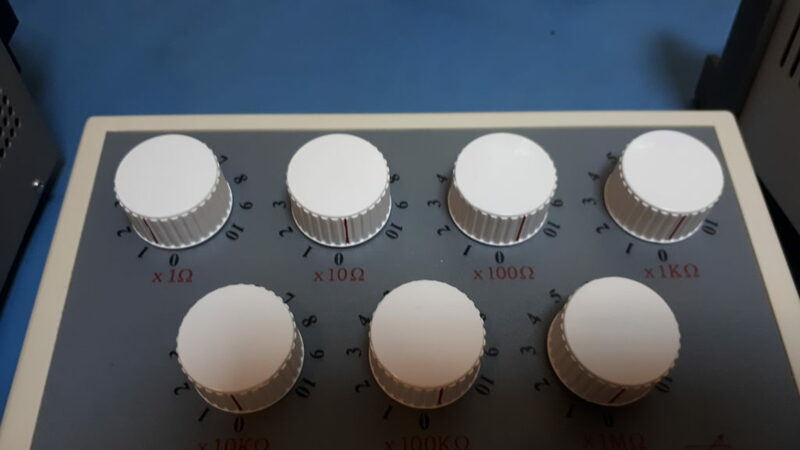 A decade resistance box or simply resistance box is a combination of high accuracy resistors that are arranged inside a box that form a set of resistance range which is increased incrementally (mostly in a decade steps). Resistance boxes have different accuracy rating and range so better choose the one that is suited for your needs. Check this link to learn more about resistance box basics. A resistance box can be used to calibrate your RTD Transmitter. RTD utilizes a signal that is dependent on the change of resistance as its sensor. This change of resistance has an equivalent value in temperature. You just need to determine the equivalent resistance of the temperature to be simulated into the RTD transmitter. A PT100 transmitter or temperature sensor has an equivalent table of resistance to temperature conversion that you can use. There is a dedicated resistance box for this purpose to ensure that you cover all the resistance range that you will need. Below is the setup, just replace the RTD sensor with the connecting probe from the resistance box. Visit this link for RTD transmitter calibration. This is the perfect use of a resistance box. Since insulation tester requires an analog resistance signal (not a digital signal from a process or multi-product calibrator), you can use the decade box as a load for the insulation tester. The insulation tester will generate a voltage and current that will pass through the resistance box and display the computed resistance value. For verification purposes, the resistance value should match with the display of the insulation tester and should be within the tolerance specified by the manufacturer. Another important use of a decade resistance box is for calibrating a resistivity meter or controller. This is a direct simulation of resistance in the resistivity meter. Just apply directly the required resistance as per the manufacturer specification. Make sure to consult the manufacturer manual in order to obtain the exact value of resistance to be used. This is sometimes called a dry calibration. Some resistivity meter also uses an RTD sensor for temperature monitoring. You can also use the resistance box for this. Photo from OMEGA Resistivity Controller manual. 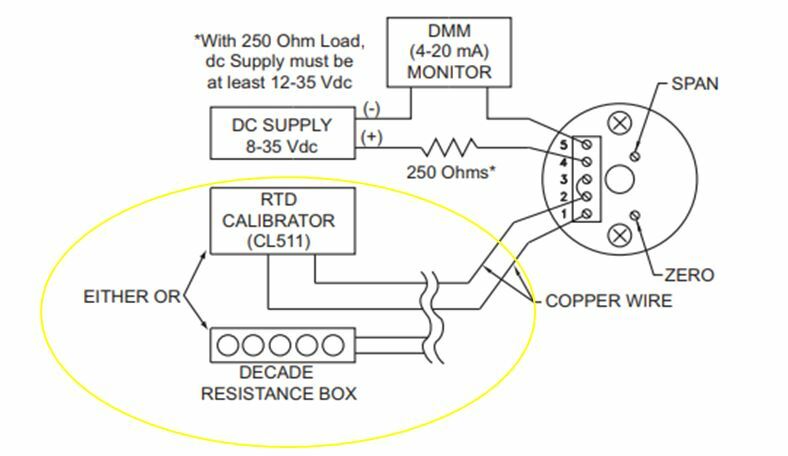 If your resistance box has a high accuracy rating, you can use it to calibrate an ohmmeter or the resistance range of a multimeter. The setup is very simple, it is a direct connection of the resistance box to the port or probe of an ohmmeter or multimeter. Conductance is the opposite of resistance. Most of the sensors have circuitry that converts the resistivity to conductivity, thus, resistivity from a resistance source can be used to calibrate a conductivity meter. 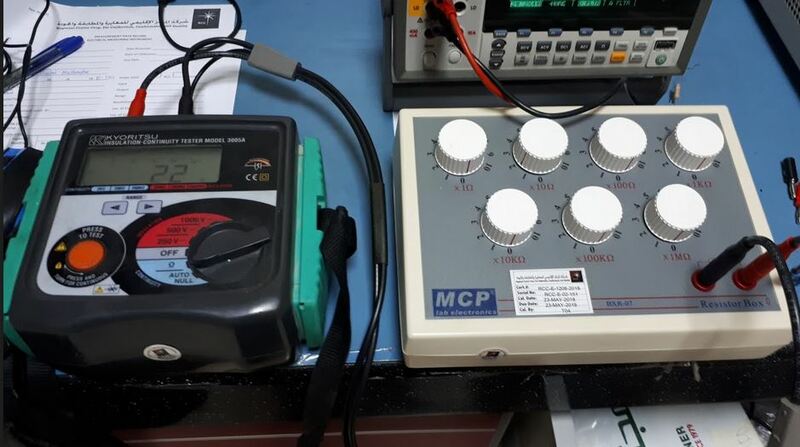 Most conductivity meter or controller has the same calibration setup with its resistivity function. You should also need to check the manufacturer’s manual to determine the needed resistance value to simulate the required conductivity. Below photo is a sample conversion for resistance to conductivity based on the manufacturer. A ground strap or a shoe checker is used mostly in a semiconductor company to eliminate or minimize ESD or electrostatic discharge by connecting a body to the ground. Shoe checker and CGM have a resistance value set to it in order to perform as a good grounding unit or to detect an ungrounded body. In a CGM, an audible alarm will sound when the desired resistance is not met. Just replace the ground strap connected to the CGM with the probe from the resistance box. Resistance box calibration is very simple; it is the same as a single resistor. The procedure is to verify the accuracy of the resistors installed in the decade resistance box. The only main reference standard to be used is a precision multimeter, where the resistance value that is set in the knob of the decade box is compared to the display of the multimeter. It is a simple measurement but it takes time because of the number of ranges that we need to cover. For other types of insulation meter, you can use the 1 Megaohm to 11 Megaohms range. For insulation meter with a much more higher range of resistance, use a separate resistance box. It can reach until 10 Gigaohms. Check example from Amazon (click the photo below). The most application has low voltage and low powered ratings, instruments like RTD, multimeter and resistivity meters. For insulation testing purposes, voltage rating can range as high as 5000 V or 5kV. Check the requirement or specification of your UUC before using the resistance box to avoid damage. Below is a sample rating in terms of power, voltage, and current. When you test with the 100-ohm range, please make sure the voltage is under 2.5V, and the current is under 250 mA, in which the power is 0.6 watts. Some RTD supply ratings are 10 Volts and 0. 8mA. From these specs, you can determine the required resistance box to be used. The more accurate and with high resolution, the most expensive. 1% accuracy with 1-ohm resolution is good but 0.01% with 0.001 Ohm resolution is better specifically for calibration purposes. 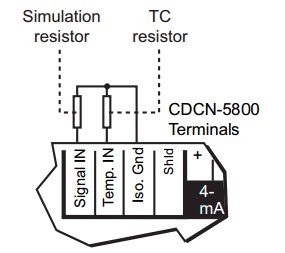 For an RTD, most resistance values are on 0.01 resolution, so it is better to choose a 0.01 resolution resistance box. for example, the resistance needed for a PT100 at 100 deg C is 138.51 ohms, we should use a resistance box with a 0.01 resolution or more. If you are using a resistance box, specifically in low resistance applications, always consult its calibration certificate for the exact value. A correction factor can be used to offset the error. Another option is to always verify the resistance value by using a calibrated multimeter. In this way, you will be sure about its exact value while using the resistance box. 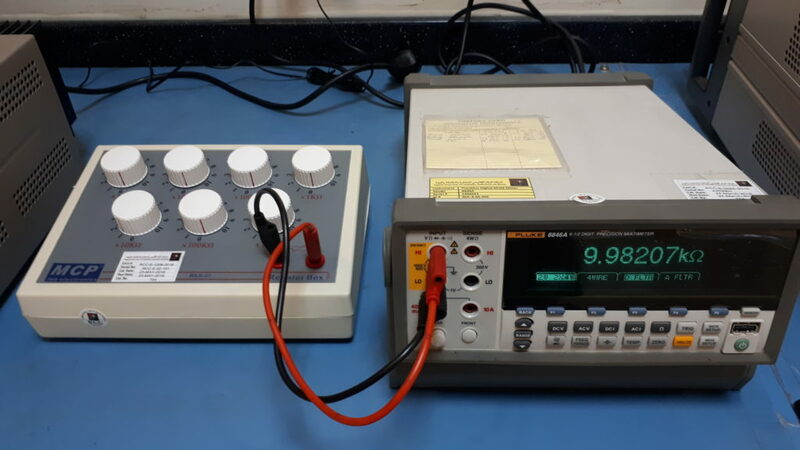 Zero settings are not always exact, test first the resistance at Zero ohms using a multimeter then subtract this resistance every time you make a resistance simulation or measurement. Check first the power or voltage output of the UUC for calibration before using the resistance box. This is to ensure that the resistance box can withstand the voltage or power supplied to it. I have presented the 6 important uses of a resistance box as an additional standard and capabilities in electrical and temperature calibration. Every cal lab should have this as one of their reference standards because not all UUC (Unit Under Calibration) are using a digital signal from a resistance generator or calibrator. It is a simple device but very helpful in some or most cases. I also presented the calibration setup of a resistance box where a precision multimeter is used as a reference standard and the things to consider when choosing and using a resistance box. Do you have other uses of a resistance box in calibration field? Comment below. Do not forget to subscribe and share. Thanks, very helpful as usual. Thanks for time that you have spent for This subject, it was really helpful. you are welcome Mario, appreciate also for your time reading my post. As an instrument Engineer, this information is important. Thanks for sharing. You are welcome. Yes, an important tool that must be added to our calibration journey. Thank you for visiting my site. Your articles are usually filled with practical and easy to follow procedures. As an instrument engineer, I gain so much knowledge and I can also put this into practice with ease. Thanks for sharing.